You would think that drawing every frame of animation, or creating entire digital movie sets one pixel at a time would make it easier to avoid mistakes or accidents. But some of the most well-known animated movies have incredible mistakes that fans probably never noticed. Until now. Here are Screen Rant's 10 Biggest Movie Mistakes You Missed in Disney Films. When two of the starring toys of Pixar's flagship series try to avert a disaster involving a TV set in Toy Story 2, a mistake on the animators' part left fans with two strange explanations. Either the animators forgot to put the toys' reflections in the TV screen... or the movie has been following the ghosts of long dead toys this entire time. We'd like to think it was a mistake, but the second answer is obviously more exciting. Considering the awards it racked up for its soundtrack and singing, you would think that Frozen was every bit flawless when it came to music. But instruments were a very different story. Kristoff's four string guitar gives fans a funny duet with his reindeer, Sven, but with only three tuning pegs to match, the missing peg is a mistake that no music-loving Disney fan could ever miss. A missing peg is one thing, but how about a disappearing sword? When Hans tells Elsa that her sister has been killed by her magic own frosty, it's obvious he doesn't have any weapons with him out on the ice. But just moments later, you can hear the sound of a weapon being drawn - a massive sword - that wasn't there before. And he still isn't wearing a sheath that would have made the sound to being with. Apparently, the frozen-solid Anna who saves the day moments later wasn't the only magic at work. Even Disney princesses aren't immune to wardrobe malfunctions, or stealthy costume changes without explanation. Cinderella's long sleeve wedding dress is hard to forget (especially since a similar design was used in the real royal wedding). But after the wedding, Cinderella's dress suddenly becomes sleeveless; apparently two different animators are to blame, since the color of the carriage's drapes changes to make the mistake even easier to spot. Nobody could have guessed that Eugene would make the ultimate sacrifice at the emotional climax of Tangled, slicing off Rapunzel's magical hair to keep her from saving his life. Apparently, even the animators were a little caught up in the scene to pay attention to detail. There's clearly a large metal shackle attached to his wrist throughout the scene, but when he raises a hand to give Rapunzel one last touch, it's magically disappeared. It's not a massive mistake, but in a movie without many, it's easy to spot. The story of a bad guy turned hero ends on a sweet note, with the star of Wreck-it Ralph letting us know that the best part of his day is being tossed off a building, the tenants lifting him high enough to see his friend Vanellope in the game Sugar Rush, elsewhere in the arcade. It's a touching idea to wrap up the story, but it isn't exactly accurate. Earlier in the movie, it's made pretty clear that Ralph can see the entire Sugar Rush game from farther down the apartment building. Maybe it's the thought that counts. It's one thing to claim that monsters can use closet doors to travel across the globe in a few seconds, but something else to say they have mastery over time itself. Monsters, Inc's famous chase scene through the warehouse full of doors is exciting, but take a second look at the locations the heroes travel through. For starters, it's night time when they start in Nepal, then again when they head to Florida. If that wasn't enough of a problem, it's also the middle of the day in Paris, the South Pacific, and Japan. There's plenty of actual culinary expertise for the food fans underneath the action of Ratatouille, and even some chef humor thrown in for good measure. When food critic Anton Ego remembers his last review of Gusteau's restaurant, he uses one of the world's most famous chefs to insult the establishment, claiming that he ranked its head chef alongside Chef Boyardee. Audiences are meant to take it as a slam against the American canned pasta and sauce line, but there's a problem: the real Hector Boiardi wasn't just a mascot for the brand, but an award winning chef at New York's Plaza Hotel, years before he started selling his food to the public. He would even receive special honors from both the USA and Russia for feeding troops during World War 2. Which means Ego's insult... would actually be a massive compliment. Now there's some food for thought. 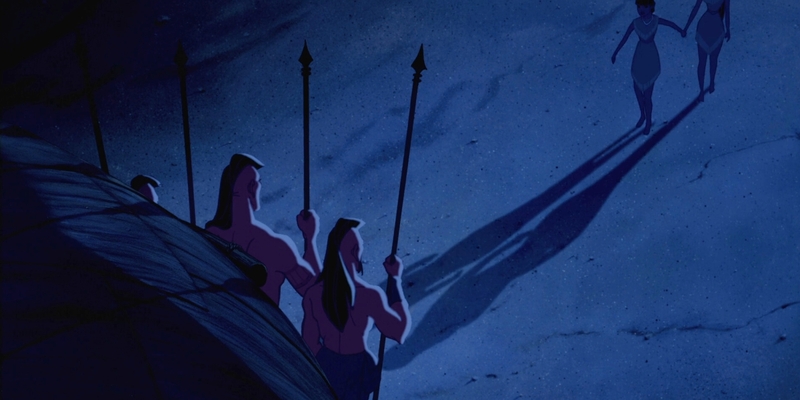 Those are some of our favorite mix-ups, mistakes and errors in Disney films, but which ones have we missed? Let us know in the comments and be sure to subscribe to our YouTube channel for more videos like this one!